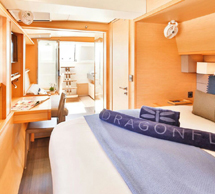 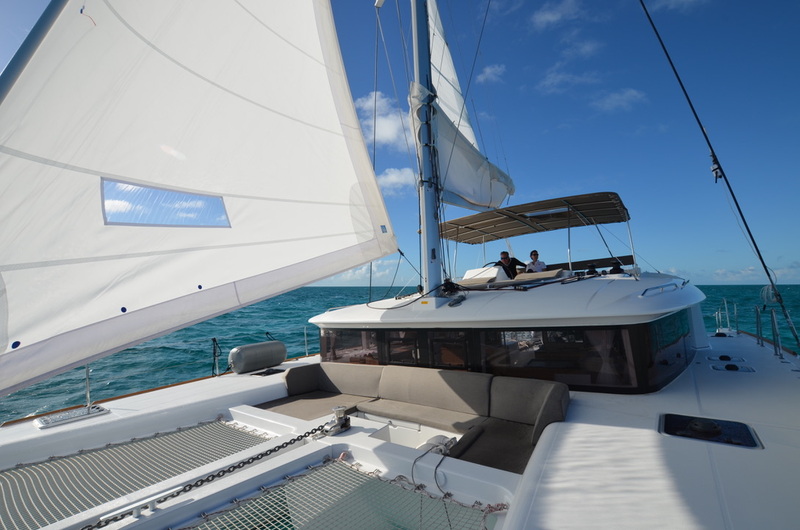 The Dragonfly is a 2018 620 LAGOON sailing catamaran. 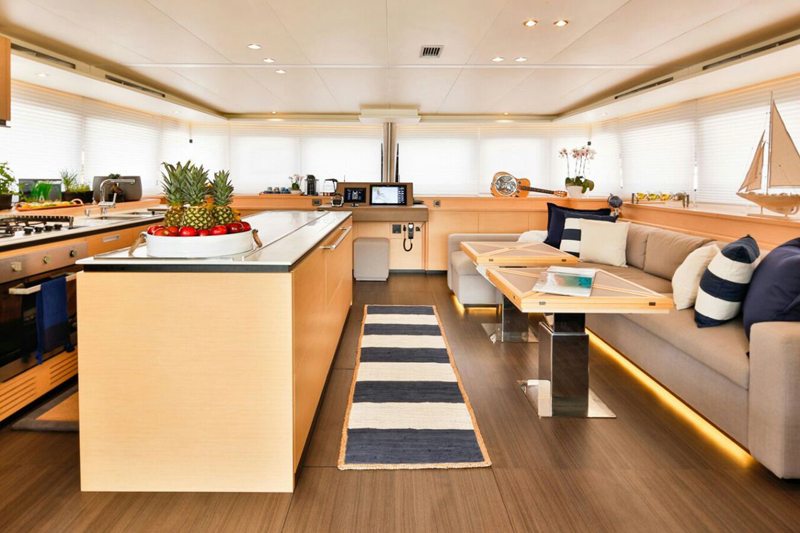 Built by VLPLP and Nauta Design, her interior decor is natural, light and airy, featuring earth toned fabrics and warm woods. 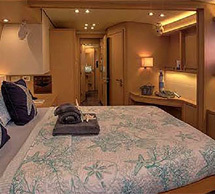 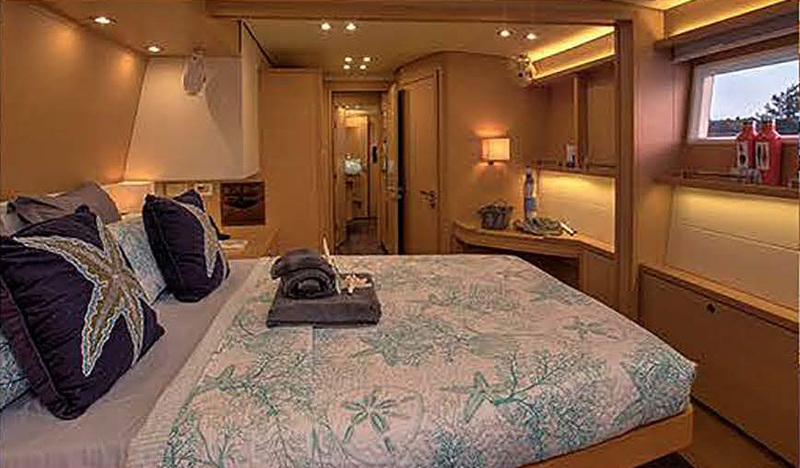 She can accommodate up to 8 charter guests, in 4 spacious cabins, each with private en-suite facilities. 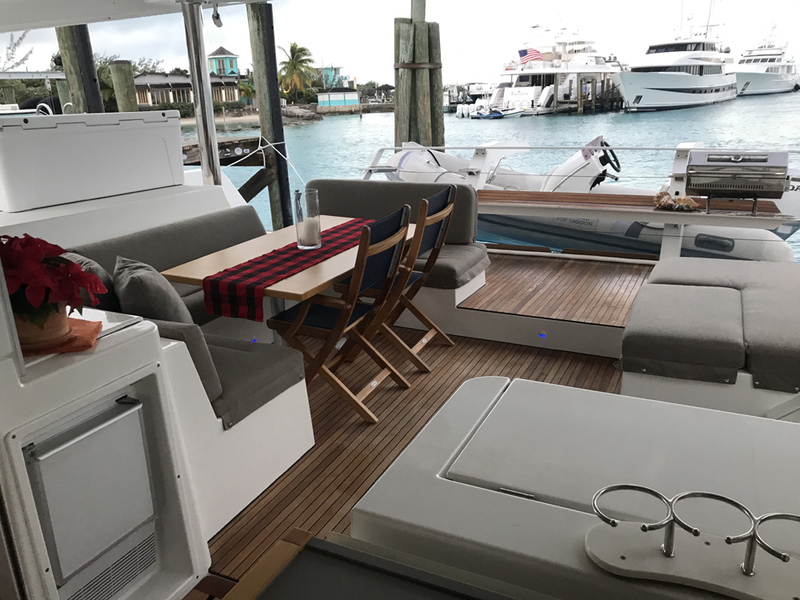 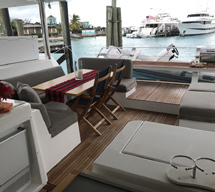 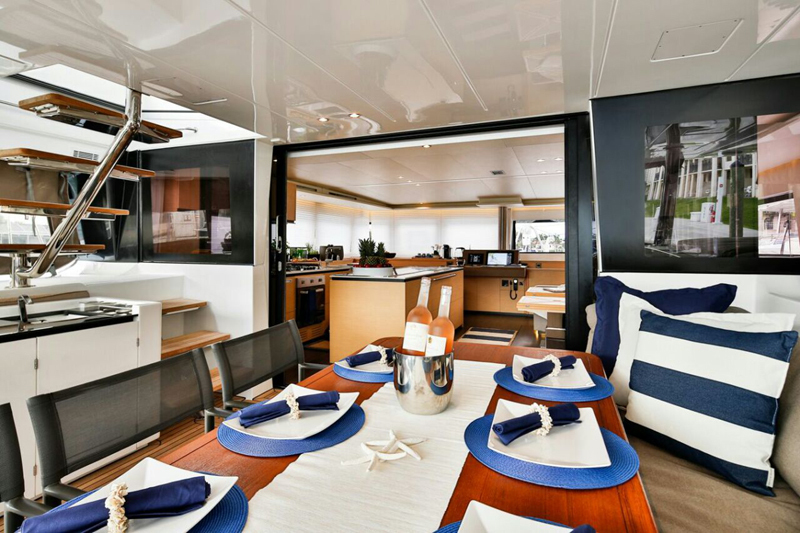 Interior living is exceptionally spacious, offering a generous upper lounge with ample seating, formal dining and well equipped galley, allowing the chef to prepare scrumptious meals with ease. 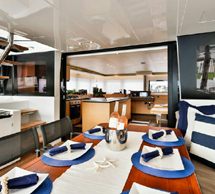 Surrounding vertical windows and wide aft sliding doors, provide guests with optimal views and fabulous natural light. 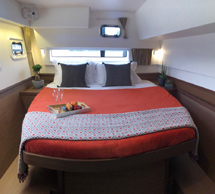 Her accommodation is on the port and starboard side of the yacht, with 4 queen size cabins, each boasting private en-suite facilities. 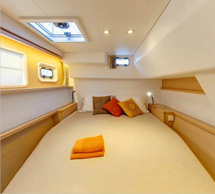 Dragonfly is fully air conditioned throughout her ample interiors. 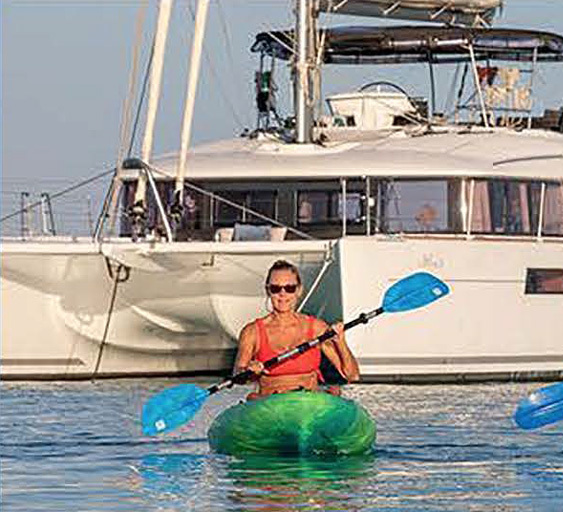 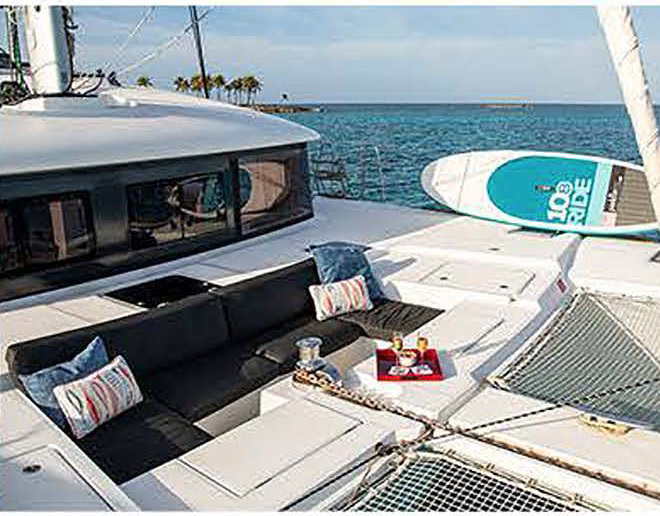 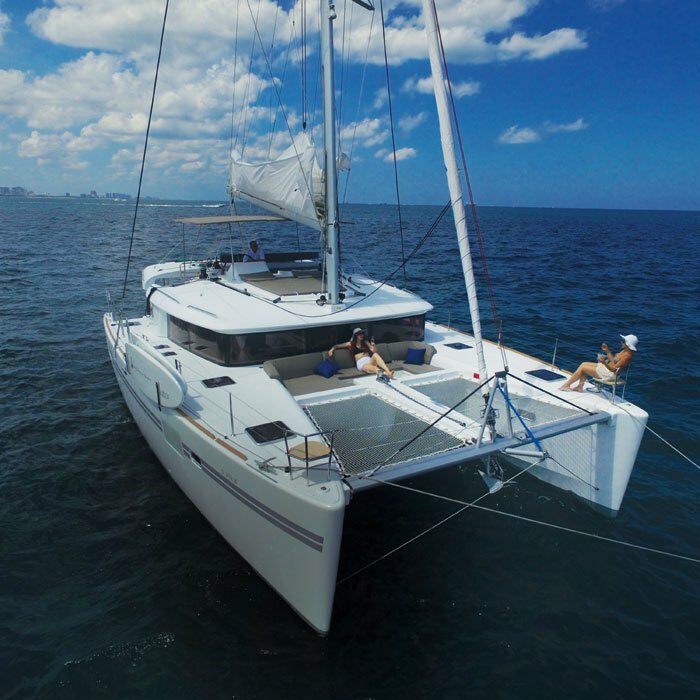 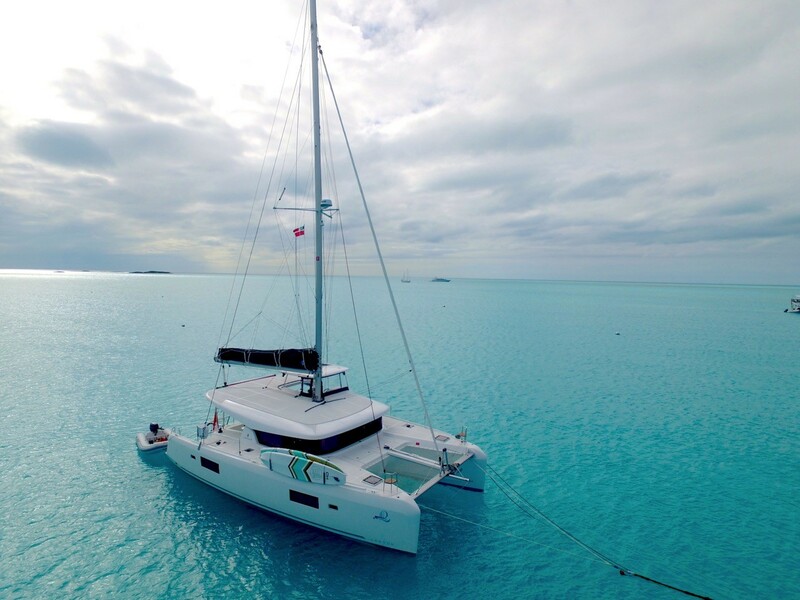 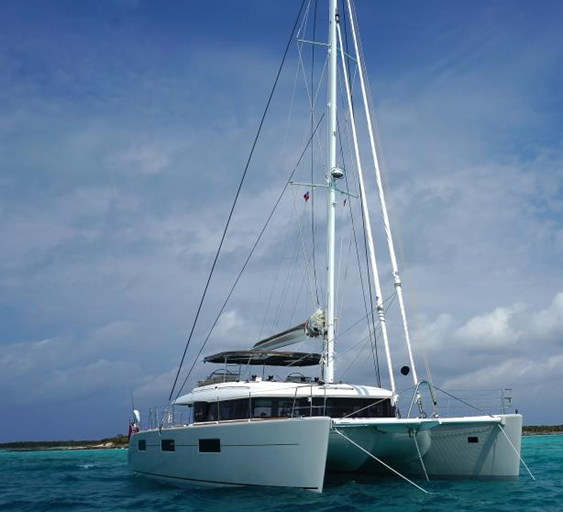 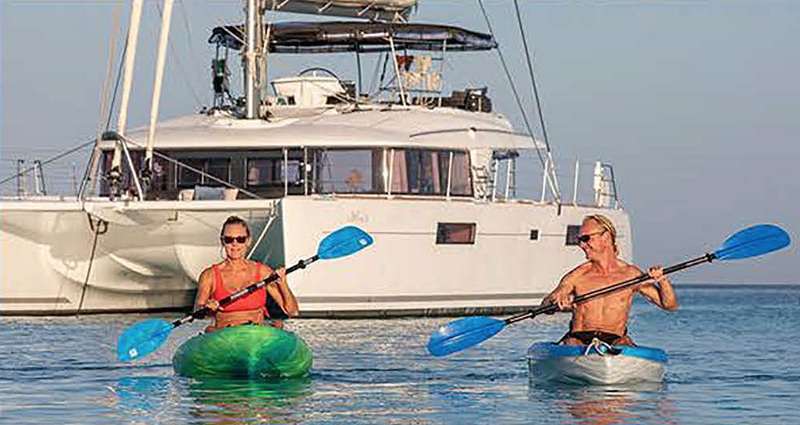 The LAGOON 560 cruising catamaran brings ergonomics and style to our catamaran fleet. 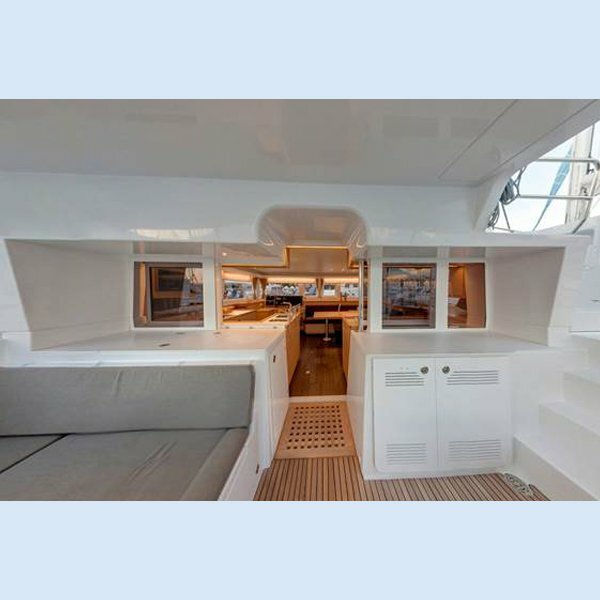 This catamaran was designed by the combined effort of architectural firm, VLPLP, and design consultants, Nauta. 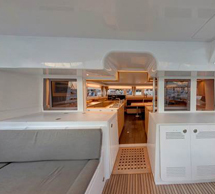 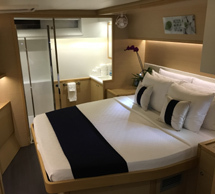 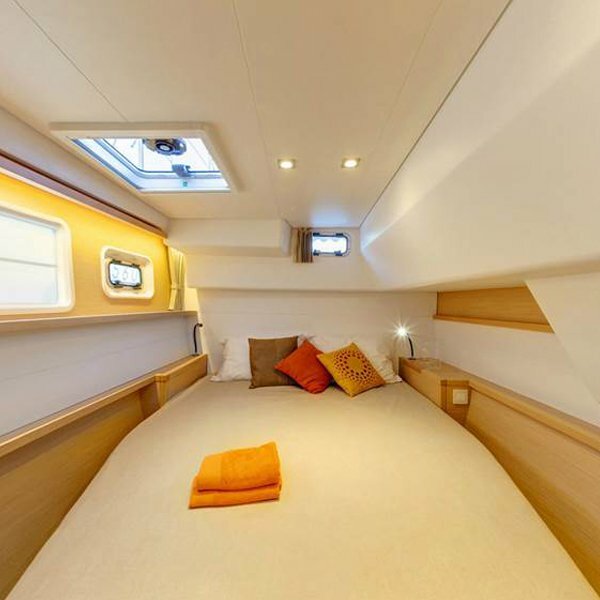 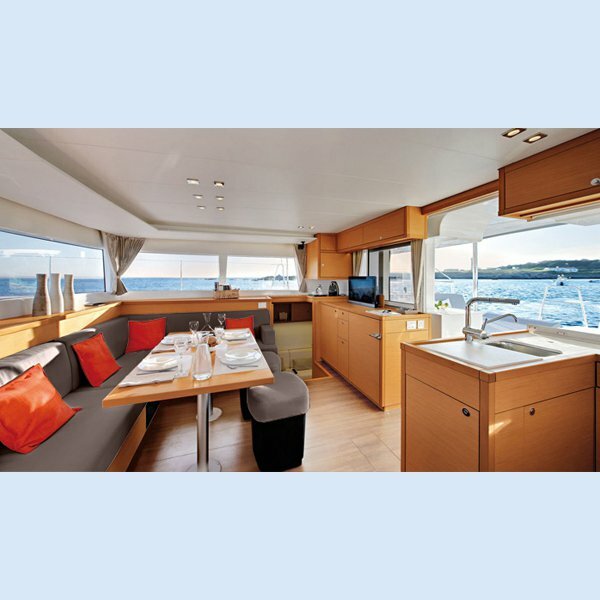 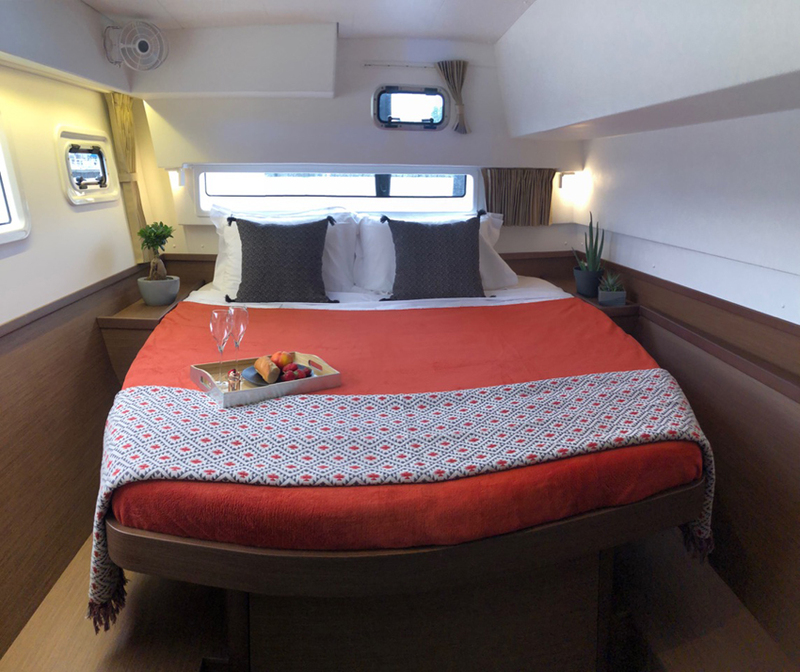 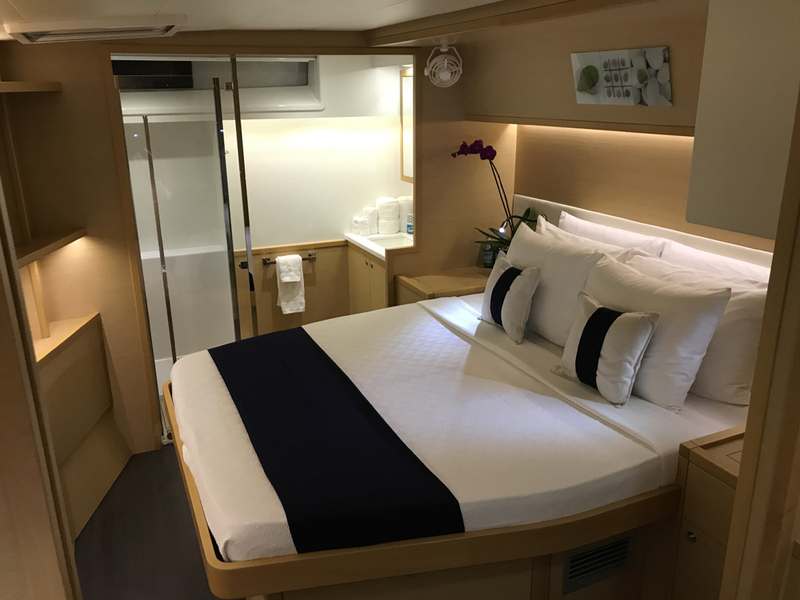 There is an impressive sense of space on this catamaran with 4 cabins and the addition of a totally private studio. 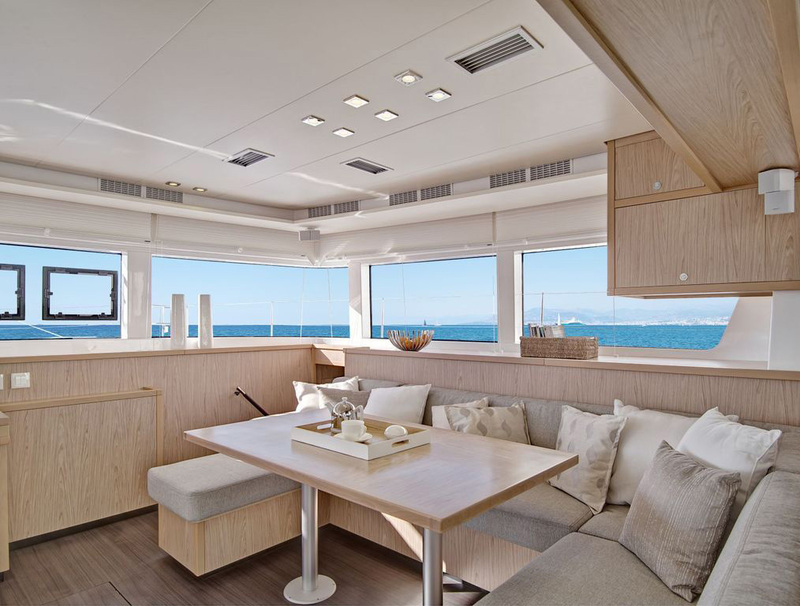 [Stock photo by Nicolas Claris] The 2018 LAGOON 42 is the result of unhurried evolution, a new "organic" approach, in search of harmony between living space and clients. 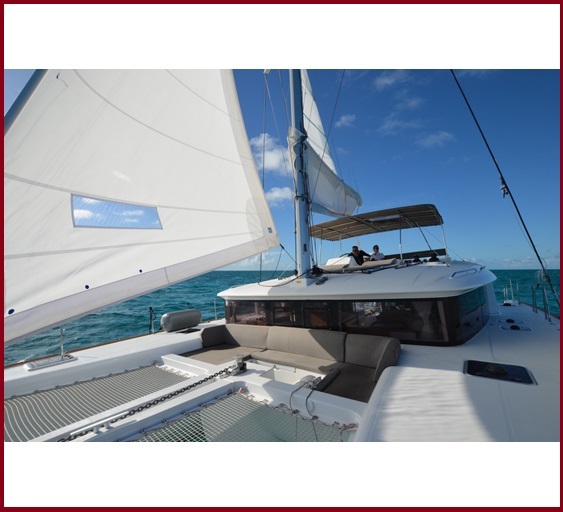 An elegant silhouette, flowing curves which, by virtue of a noticeable acceleration of the lines in the bows and in the new coachroof design, emphasise the powerful and dynamic nature of this new model… A VPLP design naturally, a guarantee of performance under sail! 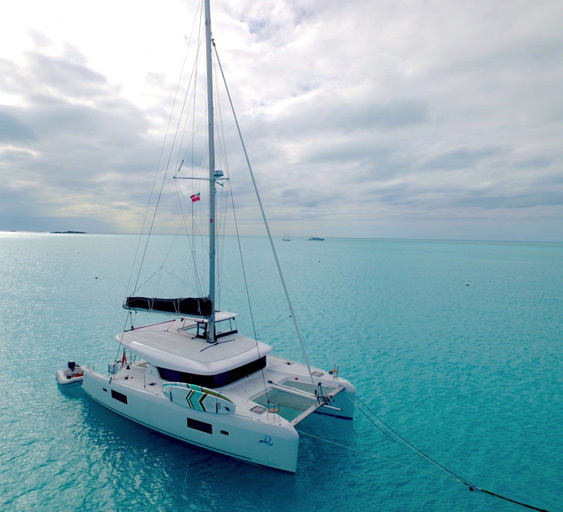 The LAGOON 52 is a whole new era in the design of cruising catamarans. 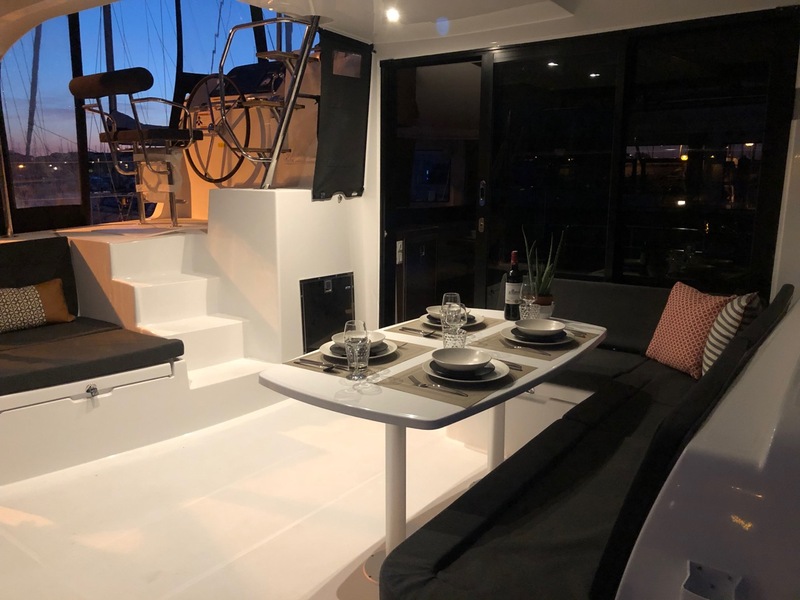 With its diamond-shaped vertical bows, bevelled hulls, it's as if levitated deckhouse and tall rig, the LAGOON 52 is no ordinary catamaran, but its originality goes a great deal further than just its "outer" appearance, or even its interior layout. 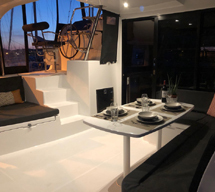 This LAGOON is the result of lengthy discussions between the architects at Van Peteghem-Lauriot Prévost (VPLP), the Italian Nauta Design agency and the LAGOON design department. 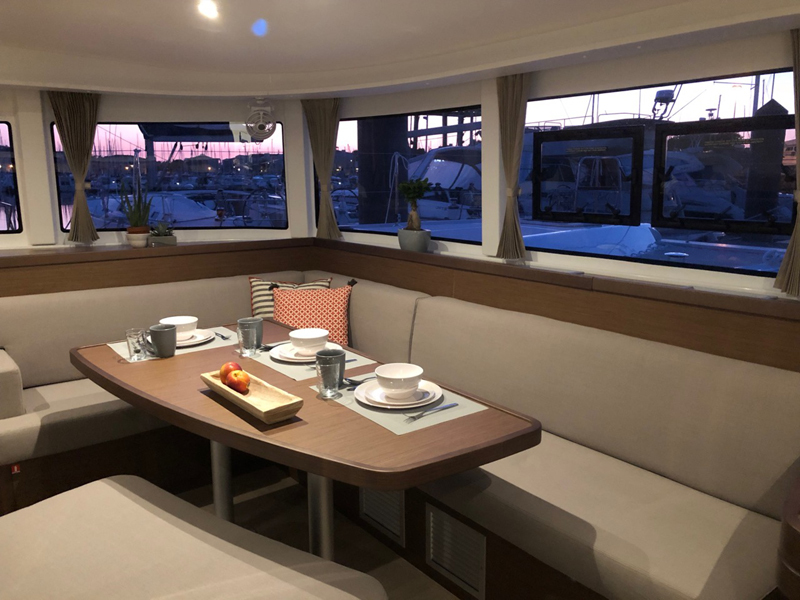 These discussions led us to make some important and sometimes radical choices, while remaining faithful to what we believe in, in terms of elegance, comfort, safety, user friendliness and, it goes without saying, performance under sail. 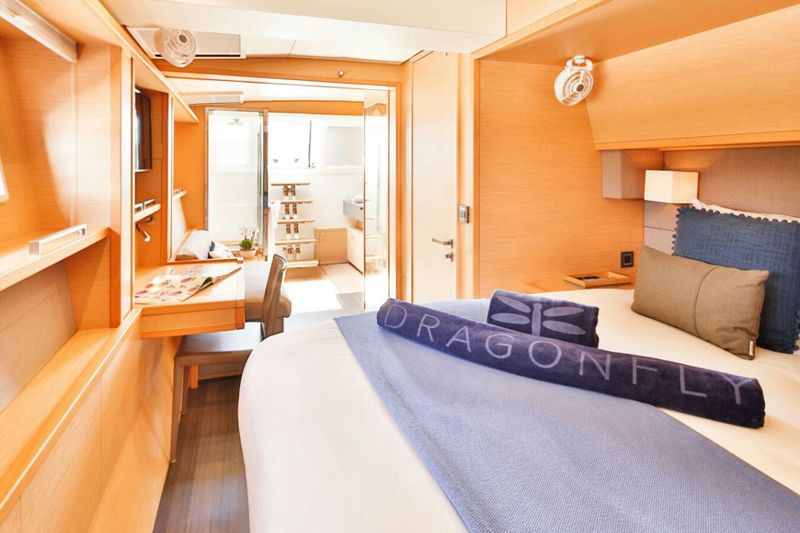 In collaboration with the Nauta Design office, LAGOON developed an upgraded version to maintain qualities such as a steering station on the fly bridge, comfort in the saloon while under performance sail. 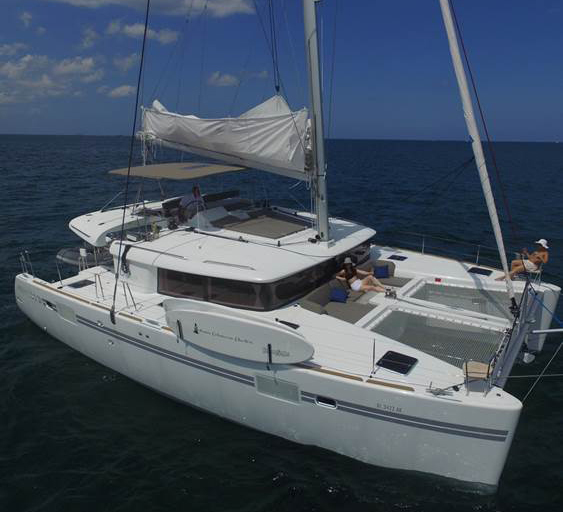 This model is available with 3 cabins and has a bigger sail area for improved cruising comfort. 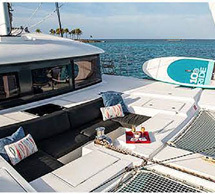 Fuel capacity: 2 x 137 US Gal.